The #1 thing that the Rally Recruitment Marketing community asks for help with again and again is how to create good Recruitment Marketing content. I bet that doesn’t come as a surprise! Content marketing is difficult, even for experienced marketers. The challenge is that good content takes time to create and it seems there’s never enough resources to create all the content you need. The other challenge is that once you start, content marketing never ends, and you constantly need material to feed all your recruiting channels. It’s like that cat that showed up one day and you left out a bowl to be nice, but now she’s meowing outside your window at all hours and won’t let you forget she’s hungry or just needs attention or both. Ok, so maybe not quite like that cat (which my husband DID take in and named him Nobska). Or actually maybe it is like the cat – you volunteered to create some social posts, and now everyone’s looking at you for more, more, more! It can be easy to feel overwhelmed if you’re always scrambling for content to publish, or feel pressured to just get something out there and then feel frustrated to see it fall flat. What is a Recruitment Marketing Content Playbook? A Recruitment Marketing Content Playbook is a document you build that contains both your content strategy and your content plan. It’s a resource for you and your team with all of the elements needed to drive what recruiting content to create and guide your execution. It’s kinda like a playbook used in football. The game plan for each week is contained in the team’s playbook, which outlines the strategy to win and what plays they’ll make to get there. Everyone, from the head coach on down, knows what’s inside the playbook so they’re all on the same page. Throughout the game, coaches and players review the playbook before they execute major plays and make adjustments as needed. As the season progresses, the playbook is updated based on the competition, players (resources) available, and what’s working and what’s not. In content marketing, your playbook holds all the info needed to shape your employer brand messaging and what you’ll be doing to get that messaging and content in front of your target audiences. In other words, the playbook is not just theory or a list of content assets that you’ll be creating, but rather a strategic document that fully explains why you’re taking a certain content approach and how you’re going to do it (with your team’s help). Why Do I Need a Recruitment Marketing Content Playbook? Makes your job easier! Once you have thought through the key elements of your content strategy, it makes content marketing execution 100x easier. Your core messaging will already be created with the rest of the Talent Acquisition team’s buy-in, you’ll be able to see what content assets you already have, where any gaps are and what content you need to build out and when. Any time you’re feeling overwhelmed or there’s a question about direction or what’s needed, you can lean back on the playbook as a guide for what to focus on next. Builds your credibility with stakeholders. Recruitment Marketing is a new discipline, so many people are still trying to figure out what impact it can truly have. Sharing your Recruitment Marketing Content Playbook with your team, business partners and leadership can help them to understand the value of a Recruitment Marketing strategy and your value as a practitioner. It will also help justify the resources and support you need to be successful, like employee brand advocates, a recruitment marketing platform, media budget, etc. Gives you more autonomy by helping leadership understand your vision. I’ve always encouraged my teams to develop their plan first before going full steam ahead. Even if the “plan” is an email to me saying what they intend to do, it helps me know what to expect. Once I understand their plan, then they’re good to go in full execution mode. The Recruitment Marketing Content Playbook works the same way – if you share the key points with your manager (and their manager too), they will see you have a plan that makes sense and give you the freedom to work through it without micro-managing. Then when you’ve delivered on your plan, you’ll earn their respect even more! 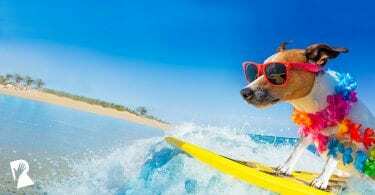 Streamlines onboarding. Most people in Recruitment Marketing are solo practitioners, but in 2019 I expect many organizations will start to hire more recruitment marketers. A Recruitment Marketing Content Playbook acts as a fast ramp-up tool to get new teammates on the same page – not only new recruitment marketers but really anyone joining the Talent Acquisition team. They’ll be able to quickly see the big picture for how content will help you attract and engage candidates, where they fit in and what they need to do to help implement the strategy. How Do I Create a Recruitment Marketing Content Playbook? Who: who is your audience? What are your target candidate personas? What: what are the main messages per audience? What types of content do you need to influence each audience? What is the purpose of each content piece? Is the content piece intended to educate, entertain, persuade or convert? Where: where will your audience discover this content? Which channels will you use to reach them? Which employees, customers, partners, etc. can help you expand your reach? When: when will they encounter your content – at which stage of the candidate journey? What questions do they have at each stage that your content needs to answer? Why: why should they respond to the call to action in your content? What is the benefit to them? What needs do they have and what are their motivations to act? Bonus! How: how are you planning to curate and create this content? What resources do you need to be successful? These questions form the outline of your playbook. All of the answers and supporting information can be collected into a presentation or Word/Google doc or folder – whatever playbook format is best for you. Examples of supporting information include: candidate personas, candidate journey maps, employer brand messaging pillars, content calendar, etc. If you need more support, join the Rally team for a one-day content marketing workshop in 4 U.S. cities this Fall, in partnership with TextRecruit, Workable, Stories Incorporated and The Muse. The goal of these workshops is to help you develop your content strategy and content plan in one day! During the workshop, you’ll create your own Recruitment Marketing Content Playbook (using our templates) to put into action at your organization right away. You’ll leave feeling like a content marketing pro. 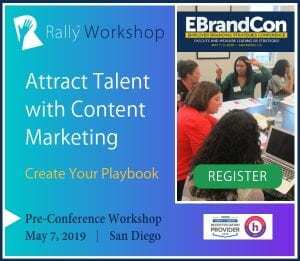 You can find out more information about the agenda and workshop dates and locations by visiting Rally Workshop: Create Your Recruitment Marketing Content Playbook. Why Should I Take in that Stray Cat? Because it’s the right thing to do. #aspca Ok, of course you wouldn’t turn your back on a stray animal. But why should you be the one to do something about the crappy Recruitment Marketing content that your team is putting out? 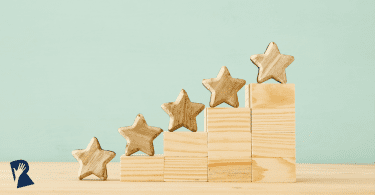 Because you care, because you CAN DO IT with the right know-how, and because you have a tremendous opportunity to make a huge impact on your company’s ability to attract talent and to bring more value to your team. When you’re trying to compete with a gazillion other employers, the recruiting content you put out is what makes you stand apart. It’s not just what you’re saying, it’s how, where and when you’re saying it that will influence a candidate to consider you as an employer, apply for your job and accept your offer. 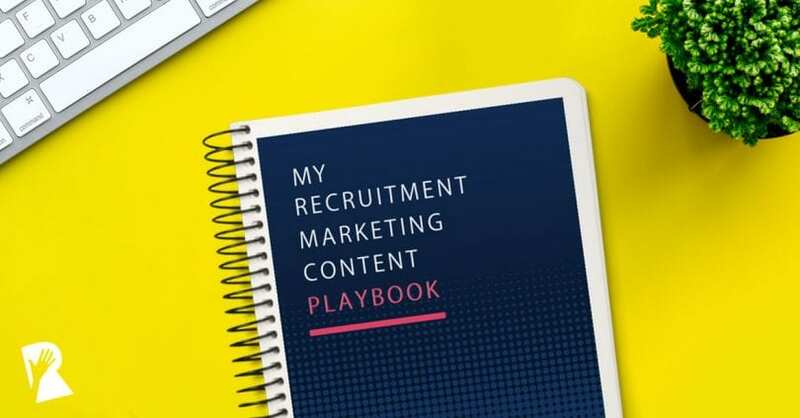 With content so important to your Talent Acquisition strategy, taking the time to pull together a Recruitment Marketing Content Playbook could give you the competitive advantage you need. At the very least, it will definitely help you #endthescramble, and that’s worth it alone.